This square folded leaflet was produced to go alongside some other print design material to assist in building brand awareness. 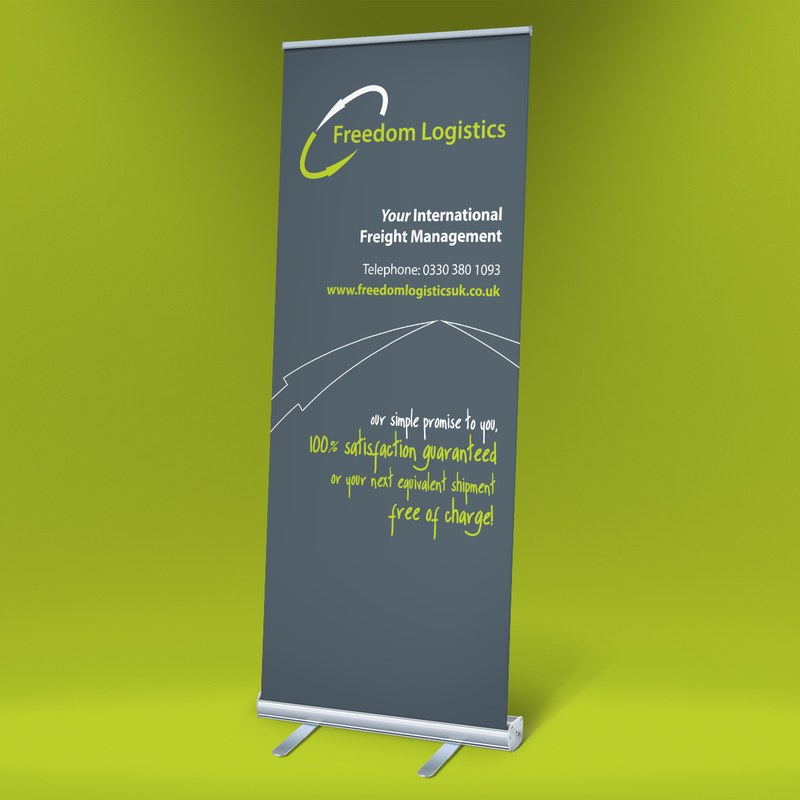 Freedom Logistics is a long-standing client who often like to break the mould when it comes to their marketing material so working on projects for them is always fun and sometimes challenging. The vivid green that is used throughout their branding is eye-catching and bold to help it stand out amongst their competitors. As an alternative marketing strategy we decided to use a square folded leaflet design. 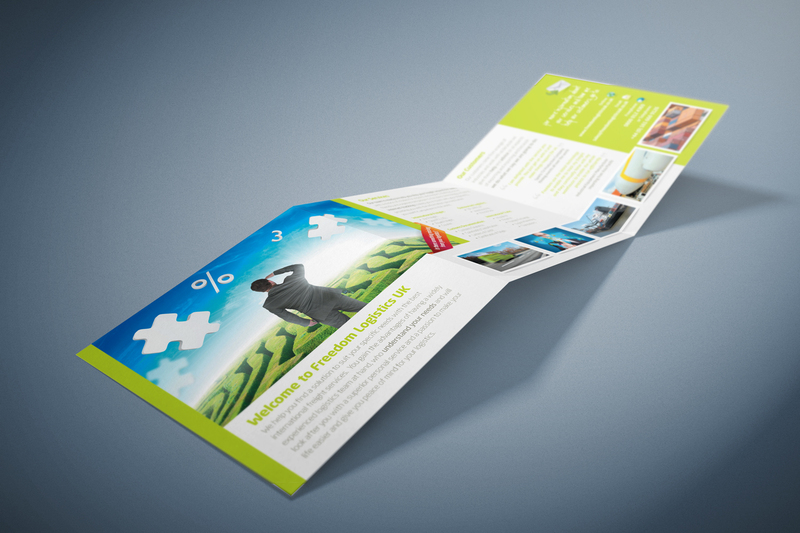 Square leaflets often standout from the more standard sized print design material from other competitors. 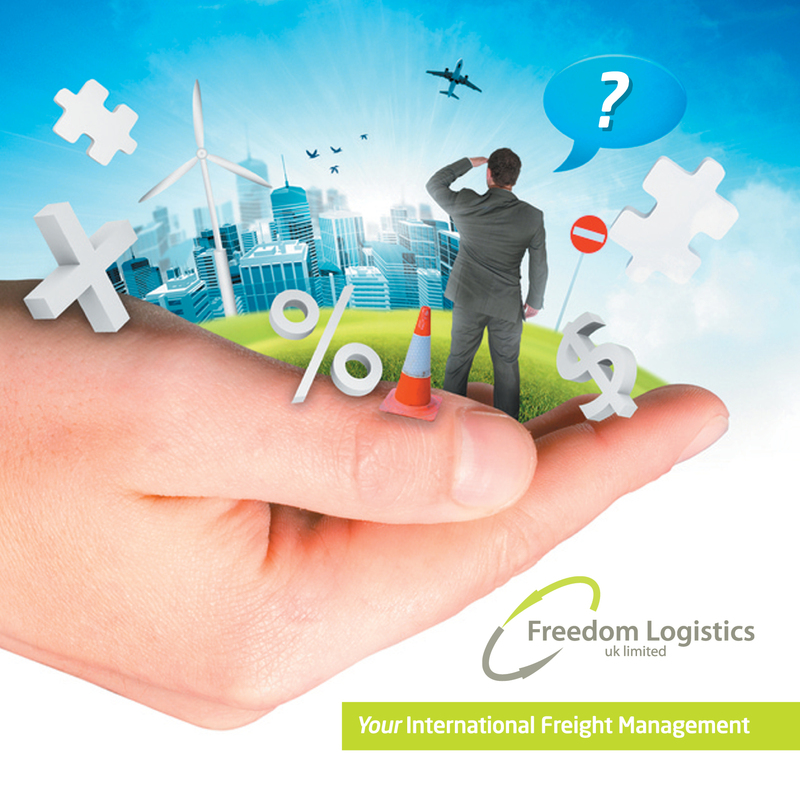 Brightly coloured and impactful imagery was used to help tie in the colouring of the company’s brand whilst producing the thought response that Freedom Logistics is an innovative and trustworthy partner to hire. You can see their website, also designed by us, continues to display the strong brand identity that it’s customers always remember. What to do if you need print design? Professional print design will be sure to make you stand out from the rest. Firstly, decide what format you would like. This example has six pages. It folds into three sections to form the square appearance. You can choose 2, 4, 6, 8 or even 10 pages. For every 2 pages you add, you will need an additional fold. Then create you word document with the set number of pages you require, suggesting the content (text and images) and in which order you would prefer. If you have any questions along the way, please do not hesitate to contact us. Please get in touch by calling Emma on 07834 717001 or email using the contact page.